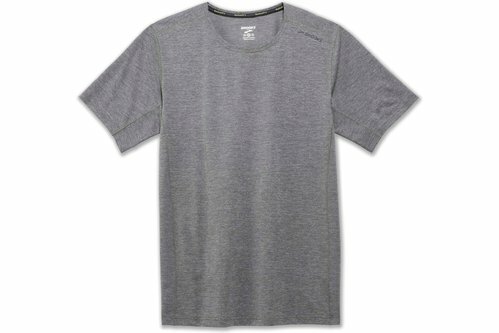 Run in comfort with this Brooks Ghost Short Sleeve T Shirt. Crafted with short sleeves, it has a crew neck and is fitted. This t shirt features flat lock seams to prevent chafing and is a lightweight construction. It is a block colour design with a printed logo and is complete with Brooks branding.